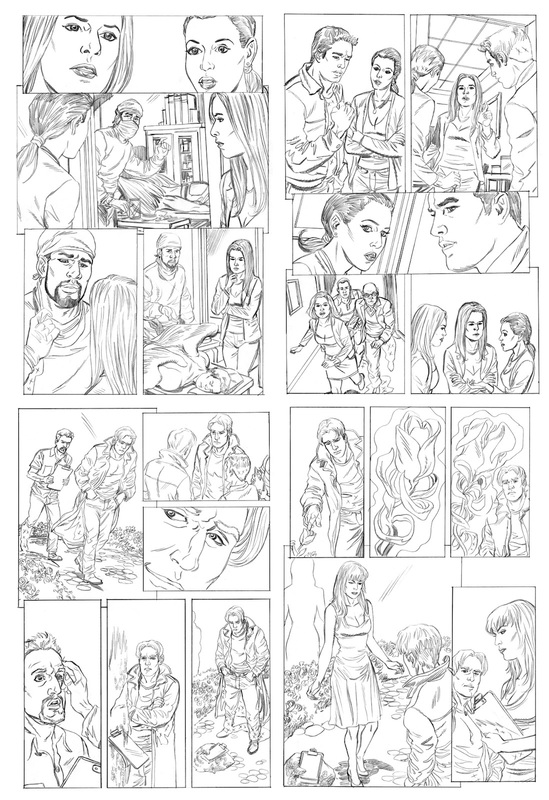 Charmed 21 came out yesterday, so, for a little behind-the-scenes treat, here are some of my penciled pages: the double page spread from pages 4 and 5, and pages 10 through 13. 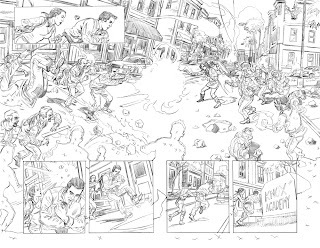 The double splash was a lot of fun, especially researching an actual street in San Francisco and trying my best to capture that neighborhood's "feel". 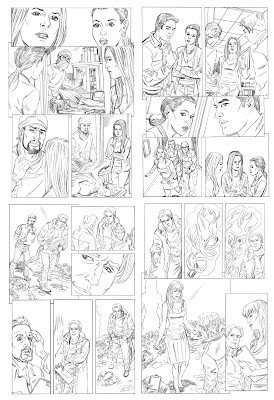 And there's something I like about the flow of panels in this sequence of pages, particularly the scene with Rennek from pages 12 and 13. The script for the issue was by Paul Ruditis.